DJ | Book or Hire a DJ for your wedding, college party, corporate event or private party today! Prime Source Entertainment represents cutting edge DJ's, electronica, mash up, jamtronica and dub step artists for wedding receptions, college events, private parties and special events. We provide the latest technology in lighting and sound. Prime Source Entertainment has relationships with some of the best professional disc jockeys in the business. 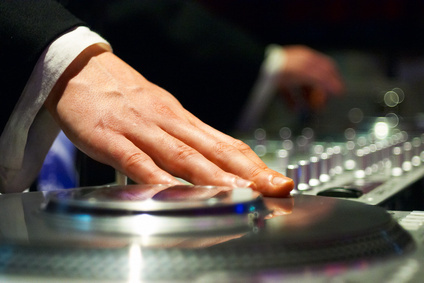 Let one of our agents help you book or hire a professional DJ for your special event. Mimosa Contact Prime Source Entertainment Group to book DJ Tigran Mimosa. Tigran Mimosa is a premiere dubstep DJ based out of Los Angeles, CA. Call today to book Mimosa for your next private or college event. DJ Milkman Prime Source Entertainment is an official booking agency for DJ Milkman, a premiere international Mashup DJ. Call today to book DJ Milkman for your college event, private party, or corporate event.